Kate Ritchie has won the 2008 TV Week Gold Logie, beating Chris Lilley, Rove McManus, Andrew Denton, Adam Hills, Lisa McCune, John Howard and Natalie Blair. “What an honour to receive this from Bert Newton,” she said. 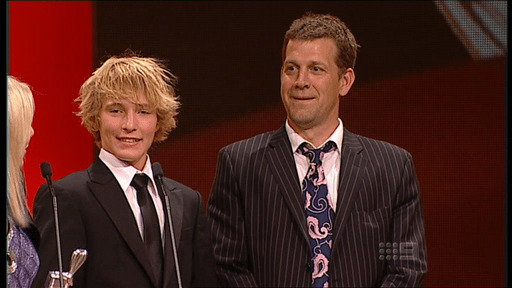 “The only reason I’m disappointed about winning is I won’t get to hear Chris Lilley’s acceptance speech. 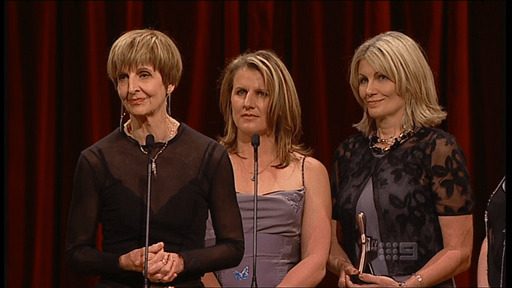 Ritchie, who also won a Silver Logie for Most Popular Actress, paid tribute to her on air character, ‘Sally Fletcher’ whom she has played since the age of nine. Most Popular Actress: Kate Ritchie. THE 2008 TV WEEK GOLD LOGIE AWARD GOES TO KATE RITCHIE! The 50th Annual TV Week Logie Awards were held last night at Melbourne’s Crown Entertainment Complex and televised on the Nine Network. A delighted Kate Ritchie took to the stage for her second, consecutive win of the TV Week Gold Logie. This was a truly, fitting way for Kate’s fans to honour the popular Summer Bay resident, who’s farewell appearance on the show aired earlier this year. Kate Ritchie’s cause for celebration didn’t end there, with her also taking home the TV WEEK Silver Logie for Most Popular Actress for the third year in a row. Also from the Home And Away stable, Lincoln Lewis was awarded Most Popular New Male Talent, while the show itself received the TV Week Logie for Most Popular Australian Drama. 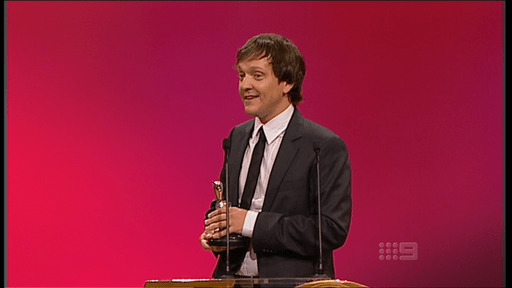 ABC1’s Chris Lilley took home the TV WEEK Silver Logie for Most Popular Actor, as well as claiming the Logie for Most Outstanding Comedy Program for his creation Summer Heights High. 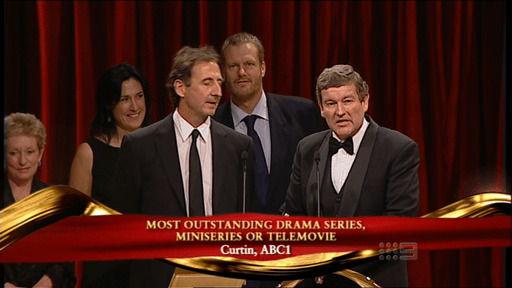 Other wins for Channel Seven in the Popular category include a Most Popular Light Entertainment Program Logie for Kath & Kim, a win in the Most Popular Reality Program category for Dancing With The Stars, and another with Better Homes And Gardens taking out Most Popular Lifestyle Program. For his shows on Network Ten, Rove McManus took home the TV WEEK Silver Logie for Most Popular Presenter for the sixth consecutive year. 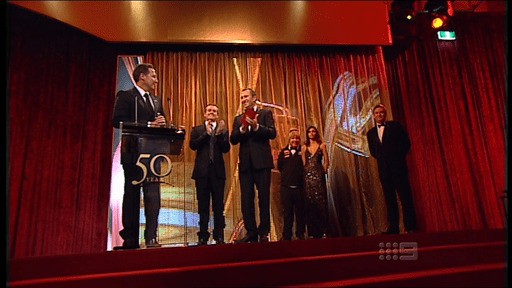 Network Ten was also a winner, picking up the Most Popular Factual Program Logie for Bondi Rescue. 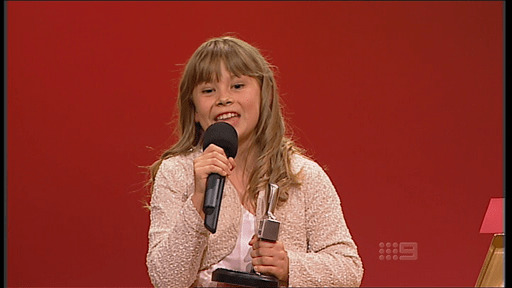 Bindi Irwin claimed her first-ever Logie as Most Popular New Female Talent for ABC1’s Bindi: The Jungle Girl. 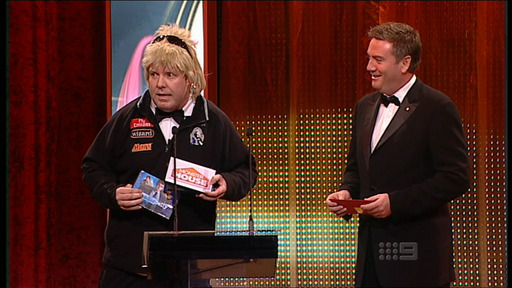 The Footy Show AFL brought home the Most Popular Sports Program Logie for the Nine Network. 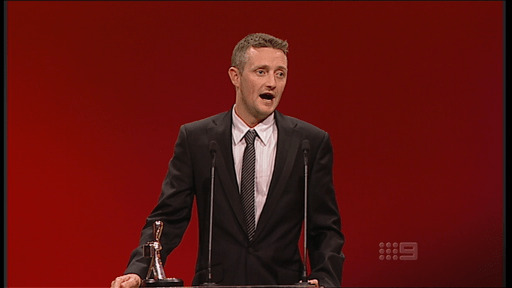 In the Outstanding categories, Stephen Curry received the TV WEEK Silver Logie for Most Outstanding Actor for his portrayal of television icon Graham Kennedy in TV1’s The King. The Graham Kennedy Award for Most Outstanding New Talent was won by Tammy Clarkson for her role in SBS’s The Circuit. Alison Whyte was awarded the TV WEEK Silver Logie for Most Outstanding Actress for Showcase’s Satisfaction. The ABC1 picked up a TV WEEK Silver Logie for Most Outstanding Drama Series, Miniseries or Telemovie for Curtin and another Logie for Choir Of Hard Knocks as Most Outstanding Factual Program. Channel Seven News was awarded Most Outstanding News Coverage for their report “Garuda Plane Crash”, and Most Outstanding Public Affairs Report went to the ABC1’s Australian Story for “Some Meaning In This Life: Belinda Emmett”. 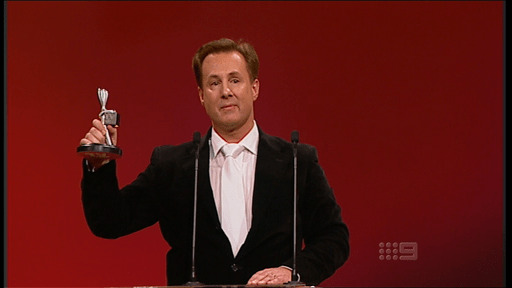 Lockie Leonard won Most Outstanding Children’s Program for the Nine Network, Supercheap Auto Bathurst 1000 took out a Logie for Most Outstanding Sports Coverage for Channel Seven, and the ABC1’s Constructing Australia: The Bridge was awarded Most Outstanding Documentary. 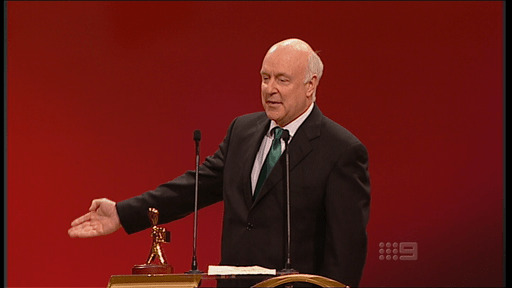 As was announced last month, beloved comic satirist John Clarke was inducted into the TV Week Logies Hall of Fame. 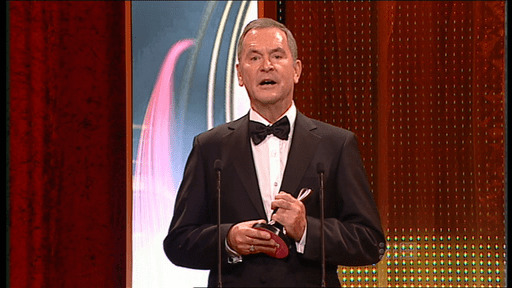 The 50th Annual TV Week Logie Awards was definitely a true celebration of Australian television. 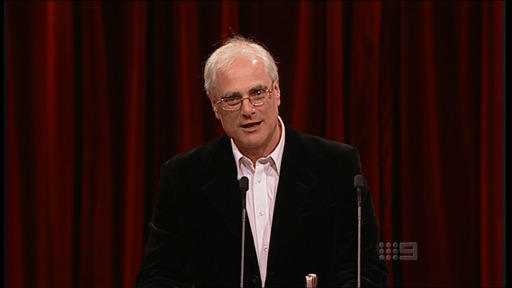 “TV WEEK Logie Awards” is a registered trademark. When printed, TV WEEK and Logies should always go together. Bert’s hair was looking sort of not to bad for a brynylon weave, Patti sounded like a nanna, Lauren looked like a Toorak princess and where was Matthew? anger management classes?. John Howard looked a little awkward all night, sort of felt a bit sorry for him, he should have clipped his brows before wearing the dark framed glasses as well. 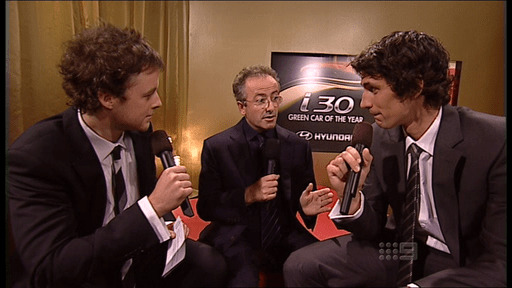 Whats the Logies without bitterness? Garry Macdonald had a lash and Bert threw in a few stinger’s. 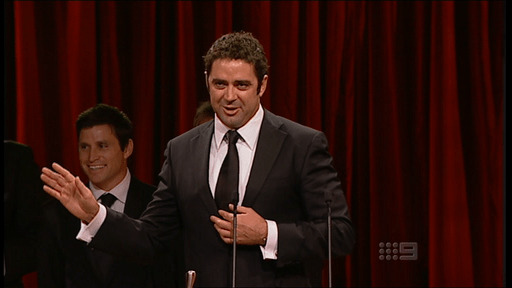 Whats the Logies without Daryl making your flesh crawl. I lamented to friends during the show .. wow, remember when they had real stars turn up, Burt Lancaster etc? now we have West life or whoever pfffffft. Overall the show had a feeling of an ‘infomercial’ to me, not much guts to it and i started to channel surf pretty early on. I too lamented the absence of Todd Mckenny, remember in the old days it used to be a badge of honour to turn up trollied. I had a little heat flutter to when Lincoln Lewis got up to accet his award, what a cute nice guy, hope the biz doesnt chew him up and spit him out. Lincoln Lewis was hilarious. Oh to be 18 (or whatever he is) and gauche and so natural. Really refreshing. Actually I think his acting in H&A is pretty convincing, though he may well be playing himself. Agreed, no person is more into themselves for such a little reason than Aussie “celebrities”. So generic and a complete lack of soul. There so out of touch with society because they couldn’t give a crap about it and are terrified of getting old and being forgotten. My favourite moment: Shaun Micallef presenting the award for Best News Coverage. Other highlights: Gary McDonald causing audible gasps in the room as he mercilessly trashed Nine’s programming, Peter Helliar offering bootleg DVDs of Underbelly and The Power Of Ten “with the previously unseen second episode” to a visibly pissed-off Eddie Maguire, and Richard Wilkins’ surely-unintentional joke about the “crack security team” that cavity-searched Chas from The Chaser. Kath & Kim always good for a laugh though, and Stephen Curry gave a few good gags in his speech. But other than those a pretty humourless night I hate to say. And Rose Byrne must be a barrel of laughs too judging by her morose delivery (why was she there anyway?) I know a lot of the gags on the night died, but she needn’t have to act like she was giving a eulogy. 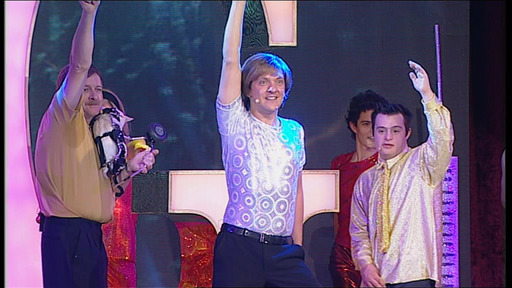 Thank god for Chris Lilley and his Mr G number. Made the show worth watching. Tonights logies was yet another example of how out of touch and rather tragic our illustrious Tv industry is. Hey, call me a killjoy if you want…don’t get me wrong, I actually enjoyed the show, but for all the wrong reasons. It was silly kitchy fun, but sooooo lame. Kate Ritchie? Bindi Irwin? Daryl? Is that the best we can do? Again, thank god for Chris Lilley. Kate’s win was well-deserved! 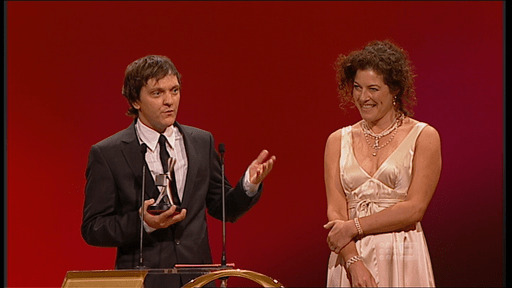 I was surprised that Chris Lilley didn’t win Most Outstanding Actor, though. Kate Ritchie got a gold Loggie. Why? What a pathetic TV audience that voted for an actor that has left the TV series. A goodbye present? Regardless of what position you take on Bindi Irwin, she is definitely a TV personality, which is what the logies are about. She has a show on ABC kids and is certainly being ‘groomed’ for further television work. 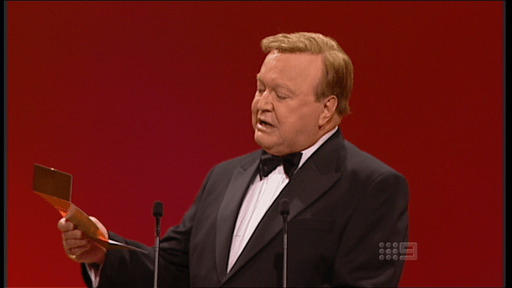 What a blatant channel 9 “hole in the wall” promo during the logies. That sort of thing should not be part of the show – only the actual shows being nominated/awarded. Pathetic! I can’t believe that Bindi Urwin won best new female talent – SHE IS NOT AN ACTRESS!!!! I nearly chocked on my wine, just a joke! 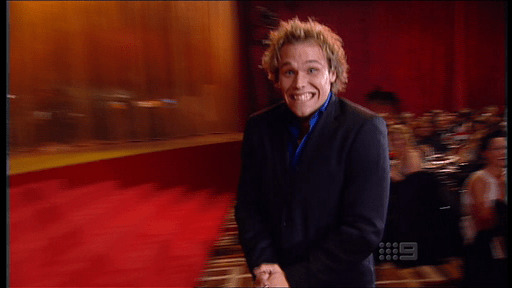 I’m glad Lincoln Lewis won – he’s not the best actor but he’s very cute! Congrats to Kate Ritchie on her win – she looks lovely. A few of my faves on the red carpet, these ladies looked FABULOUS – Dannii Minogue (J’Aton), Kate Ritchie (Lisa Ho), Jennifer Hawkins, Nat Bass, Sonia K.
Are the top 10 doing spirit fingers or jazz hands – Hummm!!!! Good to see Daryl is still alive ! Would have been better if they had got Todd to accept the award !